At LINE-X, we know your truck is much more than a vehicle to you. It can be your workhorse or your plaything. Either way, it takes a serious beating. 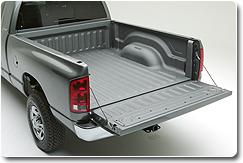 So whether it’s a payload or playload, LINE-X Spray-On Bedliners and coatings are ready for the long haul, with an ultra-durable finish that will continue to look as great as the day it was sprayed. LINE-X develops its own material under rigorous quality controls to guarantee a consistent, durable application every time. LINE-X chemists, using our state-of-the-art laboratory, are continually developing ultra-durable coatings designed for extreme impact, corrosion and abrasion conditions in hundreds of commercial and industrial situations. 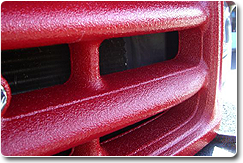 Those technologies are also used to provide the toughest protection for any surface that may need protecting — your truck bed, rocker panel, truck cover, fenders, bumpers, etc. We are focused on creating protective coating for a wide range of retail, industrial and other application needing extreme protection. LINE-X® develops its own material under rigorous quality controls to guarantee a consistent, durable application every time.